We bought this beautiful block of land at the end of 2012 from a multigenerational apple grower Bill Detlefsen and his wife, Barbara. Bill’s great uncle, Oliver James Thorley, selected the block upon his return to Australia from World War 1 and it had been in the family for close to 100 years before we bought it. It grew apples without irrigation, crops of potatoes and ran grazing sheep. The name Thorley means 'thorn clearing' in old English, which is a fitting description of the open north-facing paddocks that are surrounded by forest and the odd huge stand of blackberries. It seemed fitting to continue this connection to both the land and its colonial (at least) history. 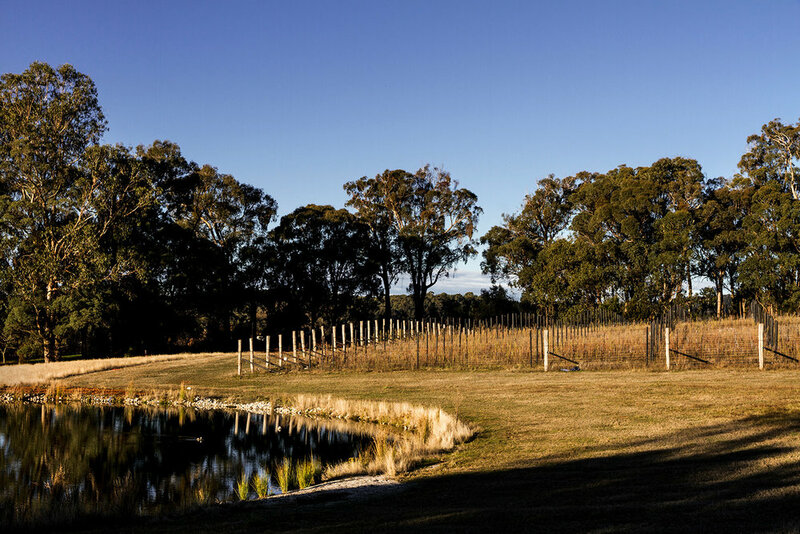 Thorley ranges from about 800-840m altitude and has an annual average rainfall of 1100mm, balanced by free-draining, low fertility soils derived mostly from ordovician era shale, slate & mudstone. We’ve planted two hectares of medium density vines covering the varieties Chardonnay, Riesling, Nebbiolo and Shiraz. We’d love to expand the vineyard in the future and hope these varieties will tell us which way we should go. The climate is marked by cold winters, mild to warm summers with high diurnal temperature variations, all of which is great for promoting later ripening with high natural acidity. The first wine from this vineyard is Shiraz which is currently available.